Can you believe the end of summer is here and school starts in less than two weeks? 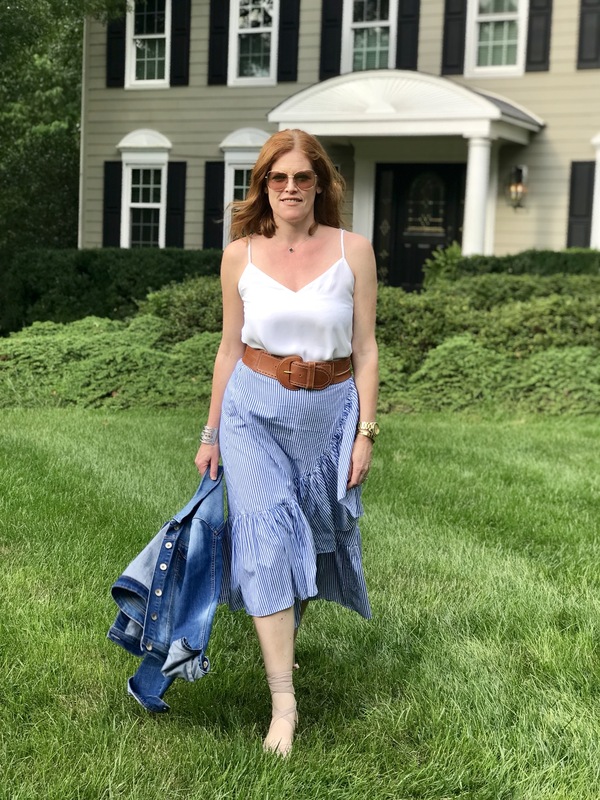 Summer went by so fast that I haven’t had a chance to share with you one of my favorite summer essential I’ve worn on repeat this summer: the long asymmetric ruffle skirt. I love the form-fitting cut of this ruffle stripe skirt which shows off your curves even more. The asymmetry adds a nice stylish touch and instantly make the outfit effortless chic. 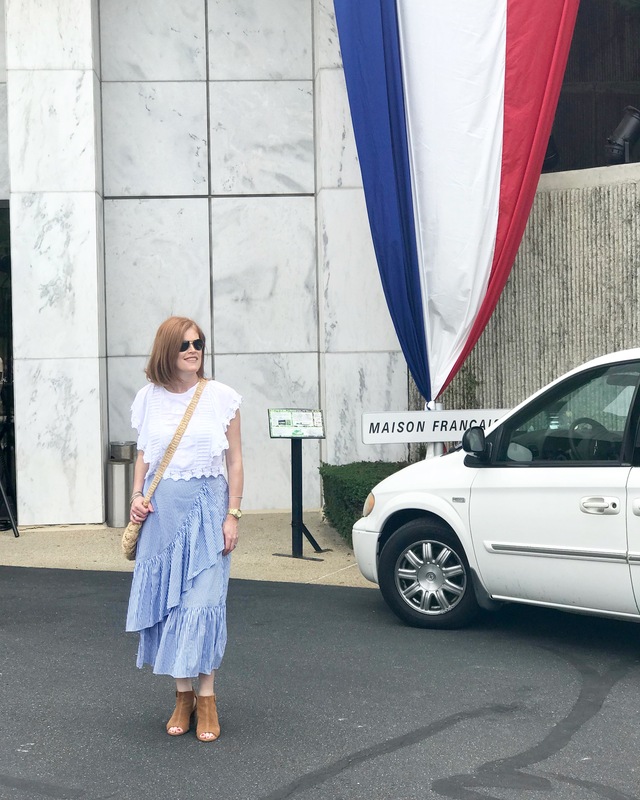 Unfortunately this exact same skirt which I bought at the beginning of summer at Nordstrom Rack is no longer available but I’ve linked a similar style on sale for $99! 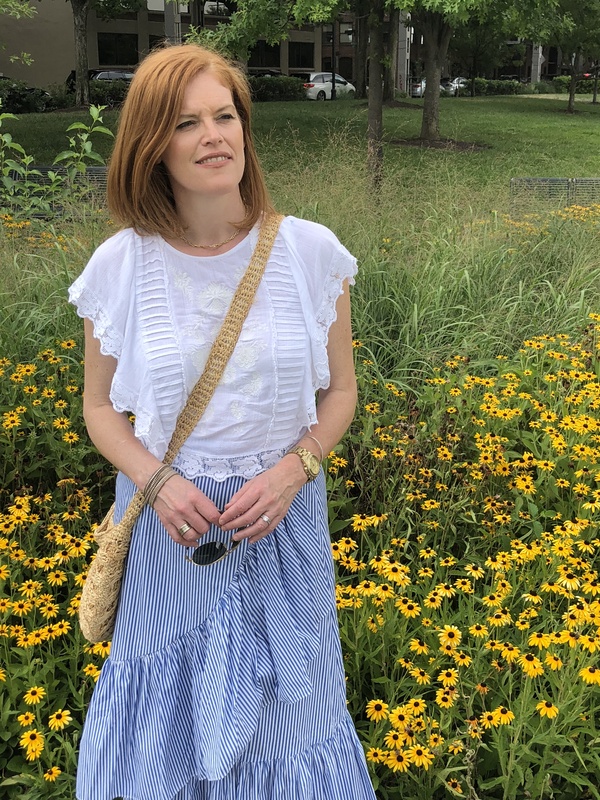 The skirt is 100% cotton and is so breezy in hot summer days! 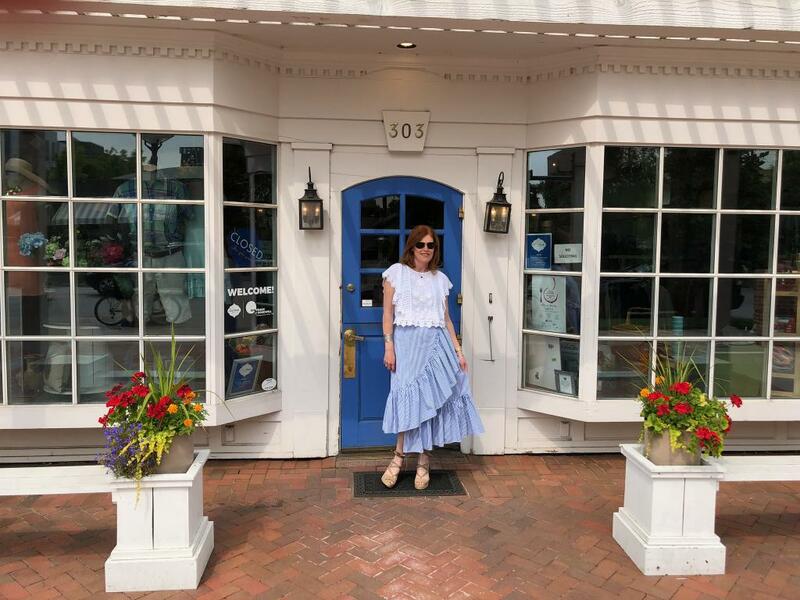 Ruffle skirts are so easy to pull that you can simply style them with a classic white top or cami like this cute lace blouse I scored on my last Target run. Complete this boho chic outfit with a pair of summer strappy sandals or low cut suede ankle boots when transitioning to cooler fall temperatures. 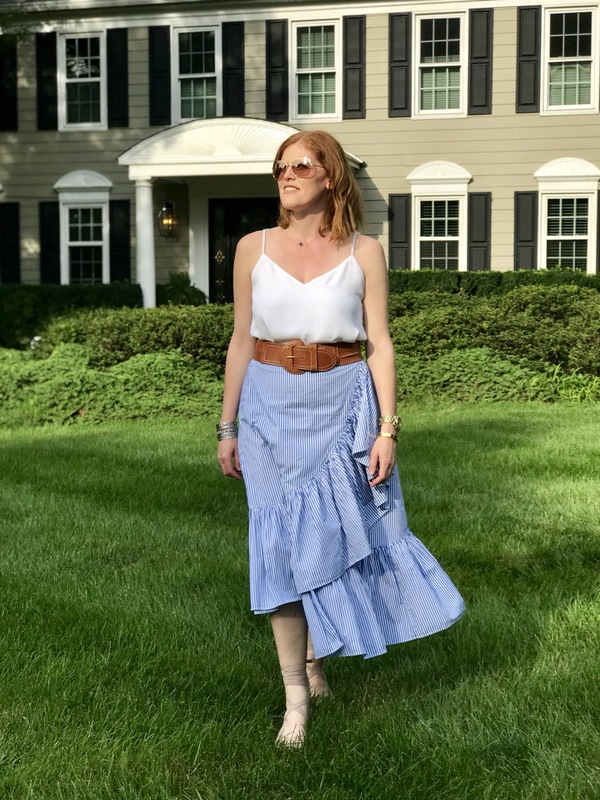 This long ruffle skirt is definitely going to be one my wardrobe staple for transitioning to fall. I can simply style it with a denim jacket and brown suede ankle boots and voilà! What about you? What are your wardrobe essentials for transitioning to cooler temps? Great summer in the Provence vibe. So French! You really have that look! Adorable! Love it! What a fantastic belt! I love belts like that on dresses and skirts. In that exact same color. Fabulous skirt too. Let s enjoy summer as long as we can! This is such a cute skirt. 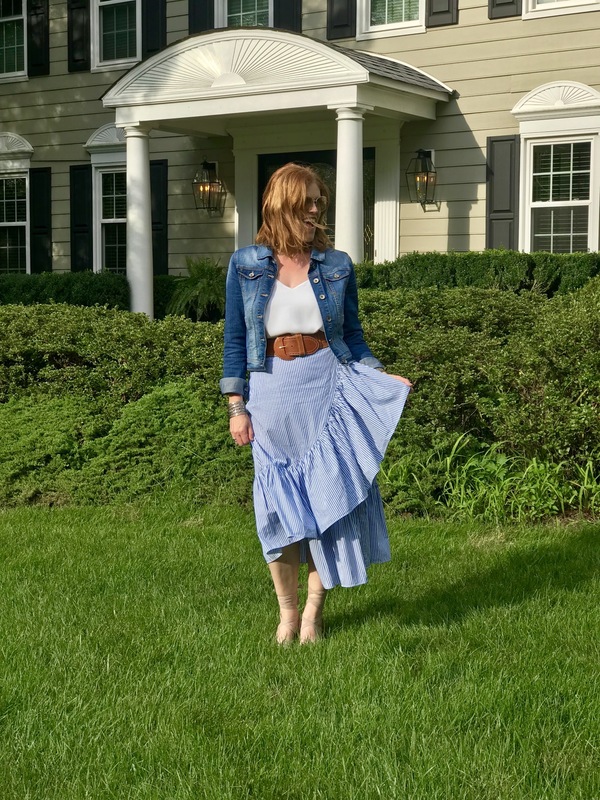 I love how whimsical the ruffle is and how easy it is to style! I hope you do a fall post for it too! I love these types of skirts! So summery! The belt totally makes this outfit though! Beautiful! I just love this skirt and how she models it! I wonder who does her photography? 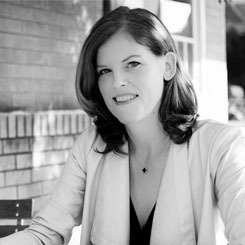 Would she mind if I used one or two of her post photos in a Header Image changing fashion show I have on my blog, along with other subjects of interest—like trains, family, Christianity and cats?